This Sunday @ HeArt circle the invitation was to dive deeper into the love that we have been receiving from our mothers since inception and to pour it out in the form of words and post it to our nearest postbox. The invitation was to take his opportunity to share our gratitude, our favorite memory of her or say all that we feel for her but never told her. It was one of the most intimate circles which I experienced so far. The process itself brought so much warmth in the space. We shared smiles, apologies, tears of gratitude while sharing our memories and associations with our mothers. One thing which struck me was that each one of us has felt “that” unconditional love from our mothers but to put “that” love into words is a challenge. And the beauty is in that nameless, formless, colorless yet universal feeling that all of us know. -Do we have to go through motherhood to be so unconditional at giving? -Inspite of the diversity of personalities staying under one roof how does she manage to holds everyone together? -What is her secret of her inner strength, resilience, patience, warmth and love? -How come we never end up saying thank you to her while we are at the receiving each day end since birth? -Inspite of all my misbehavior’s and mistakes how is so forgiving? How does she embrace it all in her big heart? My personal reflection was- First of all it was so amazing to use the word "mummy" after ages. Secondly, all that I wrote in the letter was without any filters. The question that I have for myself is would I have written the same if she was alive? Also did her death come as a gift to me in terms of my evolution is something that I keep thinking. 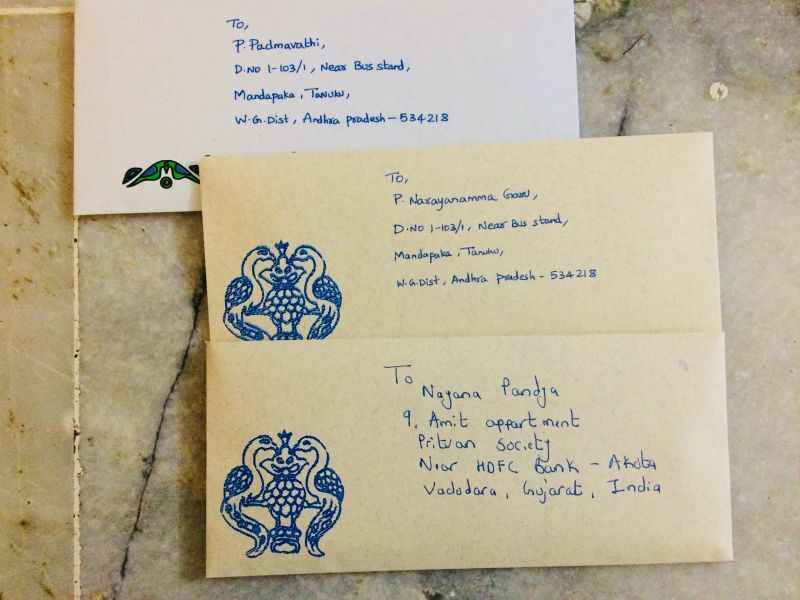 On a lighter note, everyone at my home is keen to read the letter as I too have posted the letter at the same postal address where I stay. Deep gratitude to the ones who brought the presence of the lineage of mothers and grandmothers to the circle and to the ones who could not physically come but shared notes and messages on the same. What a beautiful question to hold in the heART circle Trupti, such a gift for everyone, both the children and the mothers! :) I remember within hours of becoming a mom nearly 8 years ago, one of the first emotions and reflections that came up for me immediately, from a really deep place in my heart, was a profound sense of gratitude for all that my mother had gifted to me over the years, so selflessly and unconditionally and imagining how much she had sacrificed in the process. For me, I feel I only truly understood the depth of this generosity and unconditional love when I became a mom myself as I could relate to her life's journey in a very experiential way from my heart and my hands, and not only from my head, but of course everyone's experiences are unique.